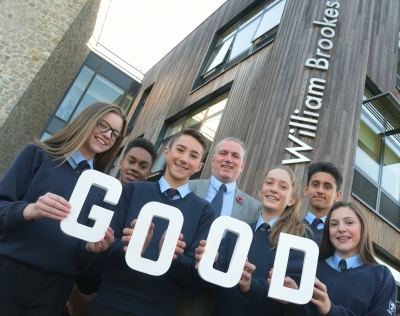 We are delighted to announce that Ofsted have rated William Brookes School a Good school following their two-day inspection shortly before half-term. Ofsted inspectors examined the school’s processes and procedures in detail, spoke to our students, staff and governors and gathered the views of parents. Ofsted’s overwhelmingly positive findings combined with the our excellent A Level and GCSE exam results this summer led the inspectors to assess us as Good in all areas.